Discover the railways of Exmoor! 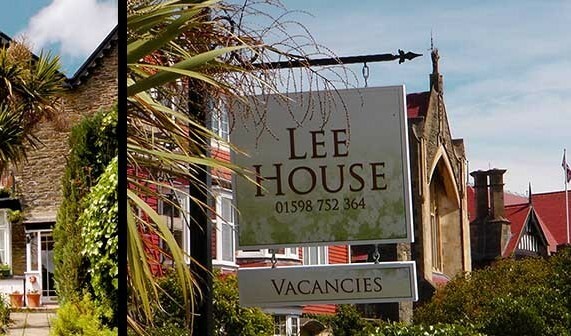 Award winning B& B Lee House is ideally located for visiting 3 fascinating and totally different railways; the Victorian built Lynton & Lynmouth Cliff Railway, the narrow gauge Lynton & Barnstaple railway and the heritage West Somerset Railway. All three railways featured in Michael Portillo’s Great British Railway Journeys. And if you want to get back onto the main rail network, the Barnstaple to Exeter Tarka Line is a wonderfully scenic journey. Our attractive en-suite rooms have comfy beds, well stocked hospitality trays, TVs and hairdryers; everything you need for a comfortable stay. We also offer free parking and WiFi. A hearty Lee House breakfast will set you up for the day! And as well as the ever popular Full English, we offer lighter options and choices to suit vegetarian, vegan and gluten-free diets. Eating out is easy too, with a range of restaurants and pubs just a few minutes’ walk away. Contact us direct by phone on 01598 752364 or email info@leehouselynton for the best prices!